Peter Thiel: Apple’s reign in the technology space is over, is it the end of an Era? 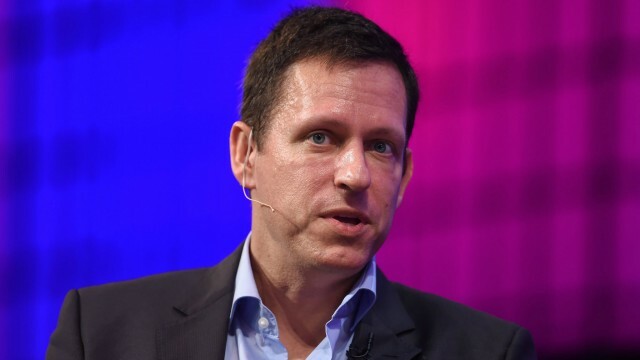 Peter Thiel: Apple's reign in the technology space is over, is it the end of an Era? What Thiel appears to imply is that Apple’s impact on society, its ability to facilitate change and its future is reliant on iPhone. In many ways Thiel is correct. Apple on Monday celebrated the 10th anniversary of iPhone’s unveiling at Macworld 2007. The device that put the internet, an iPod and phone in your pocket changed how we viewed personal electronics, and would become the de facto standard for all smartphones within a few short years. Apple’s ability to disrupt personal communications inevitably led to financial success, with iPhone soon accounting for a huge bulk of the company’s revenues. Apple iPhone sales continued to grow for nearly ten years before seeing its first year-over-year contraction last April. Aside from raw numbers, which appear to be stabilizing after last year’s disappointing performance, some question Apple’s ability to innovate in the smartphone space. Detractors say the most recent iPhone 7, while a marvel of technology, offers few differentiating features and sports a three-year-old design. That said, Apple is expected to shake things up in 2017 with a —potentially limited production —redesigned iPhone sporting an edge-to-edge OLED display, wireless charging and other exotic hardware. Still, many rumored features are already found on existing handsets, including those marketed by competitor Samsung. As for Thiel’s Q&A session, other tidbits related to Apple include a rumor that he created the seating chart at Donald Trump’s tech summit in December. Thiel denied. Ironically, Thiel, who serves as Trump’s Silicon Valley evangelist, was seated between the President-elect and Apple CEO Tim Cook.